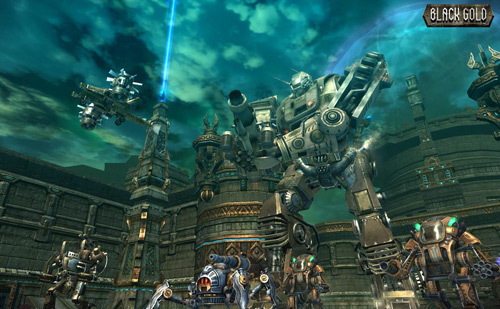 Snail Games’ steampunk MMORPG will begin its alpha phase next month. Black Gold Online, the upcoming steampunk MMORPG from Snail Games, will kick off its apha test on Thursday, March 20 at 2 PM EST. The alpha version of the game will include 8 playable classes from 4 different races. Players can try out the questing, crafting, vehicle construction, instanced dungeons, Faction vs. Faction battlegrounds, open world PvP and other game features during the test. You can sign up for the alpha test by heading over to the official Black Gold Online website. Tagged Alpha, Black, Dated, Gold, March, Online’, Test. « Guild Wars 2 Get Ready for the Battle for Lion’s Arch!